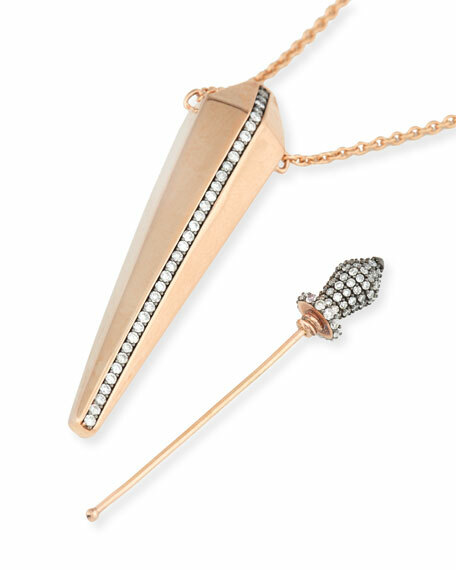 Diane Kordas necklace from the Amulette Collection. Pavé diamond applicator pin can be unscrewed from top. 0.51 total diamond carat weight. 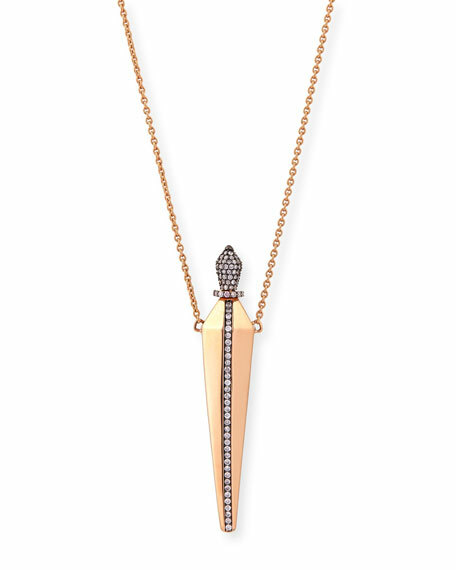 Armenta pendant necklace from the New World Collection. Polished and oxidized sterling silver hardware. Open oval pendant with cushion-cut center. Armenta pendant necklace from the New World Collection. Polished and oxidized sterling silver hardware. Open oval pendant with cushion-cut center. Arizona turquoise and white quartz doublet. Champagne diamond pavé and crivelli. 0.12 total diamond carat weight. Two white sapphire accents. Adjustable; toggle clasp. Approx. 18"L. Made in USA. Dina Mackney pendant necklace with beading. 18-karat yellow gold plating over hardware. White mother-of-pearl pendant in oval bezel. Titanium coating over moonstone beading. Approx. 36"L; 2.75"L x 1.5"W pendant. S-hook clasp. Made in USA. Please note: Pendant is removable with hinged bale.